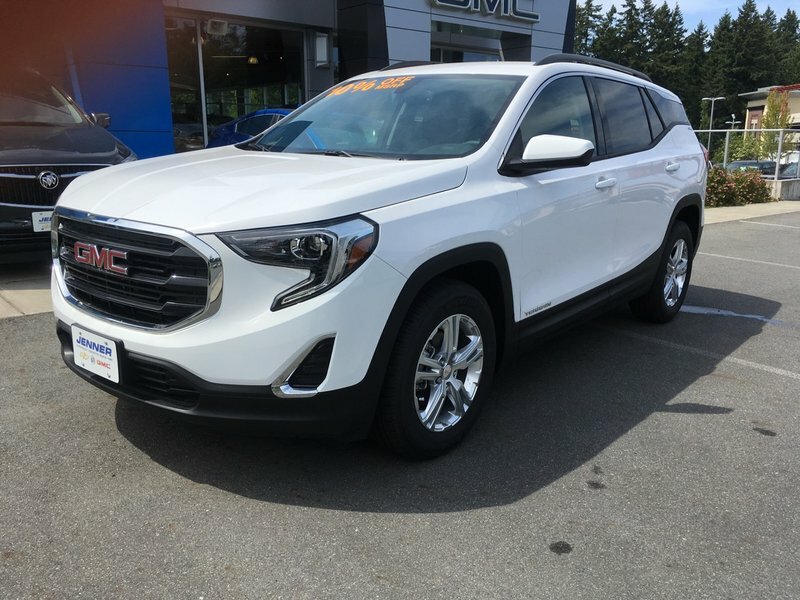 Stand out from the crowd with our 2018 GMC Terrain SLE in Summit White! 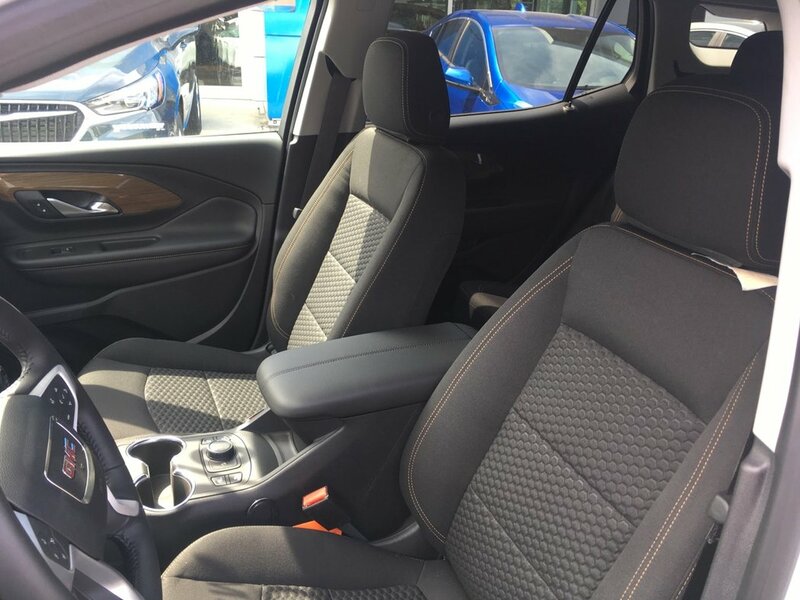 Powered by a TurboCharged 1.5 Liter 4 Cylinder that offers 170hp while paired with an innovative 9 Speed Automatic transmission for swift passing ability. 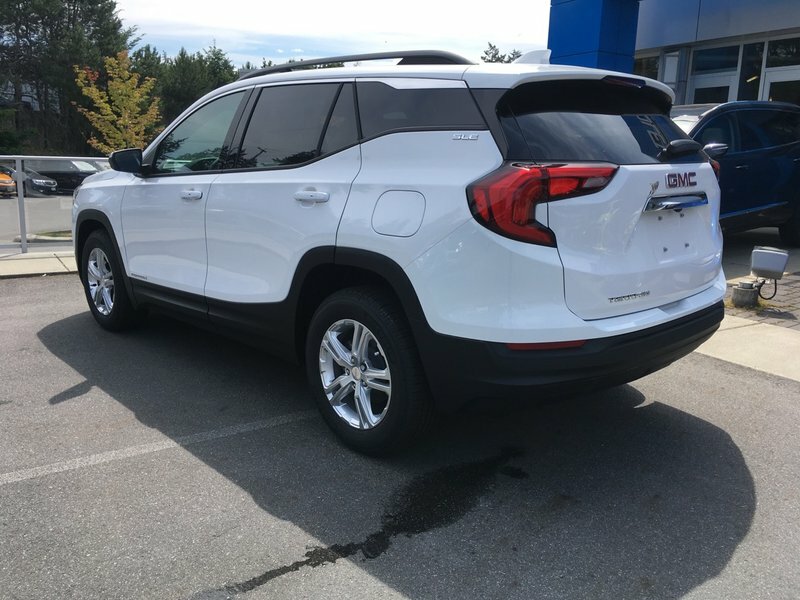 This Front Wheel Drive Terrain provides a gentle ride, excellent handling, and near 7.6L/100km on the open road. 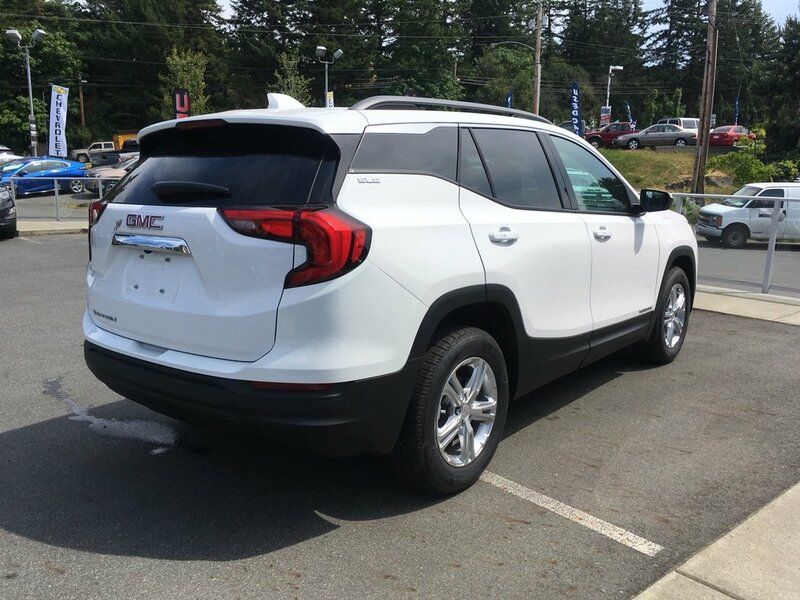 Bold and refined, our Terrain SLE commands the way with its striking grille, LED lighting, muscular fender flairs, and alloy wheels. 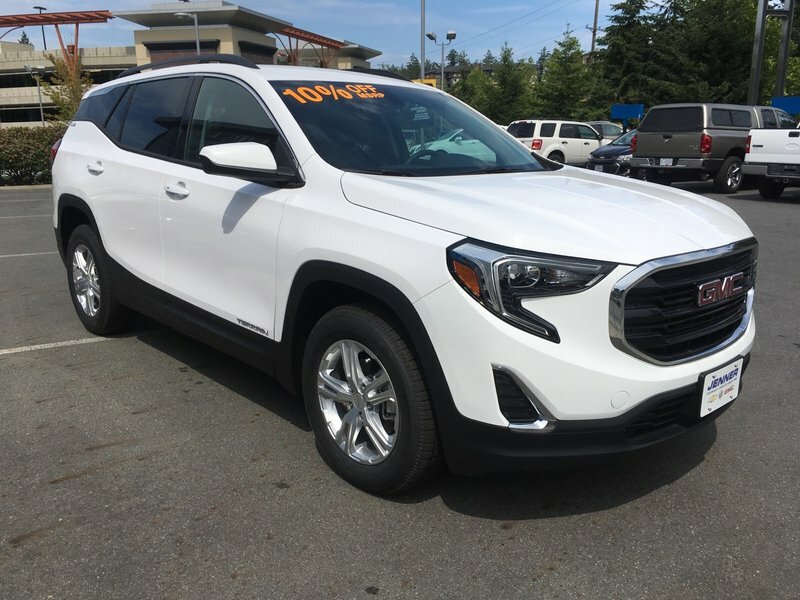 Open the door to the beautiful SLE interior with the keyless open and keyless start, feel the ultra-comfortable premium cloth seating, and note the driver information center, ambient lighting, and multi-flex sliding rear seats. 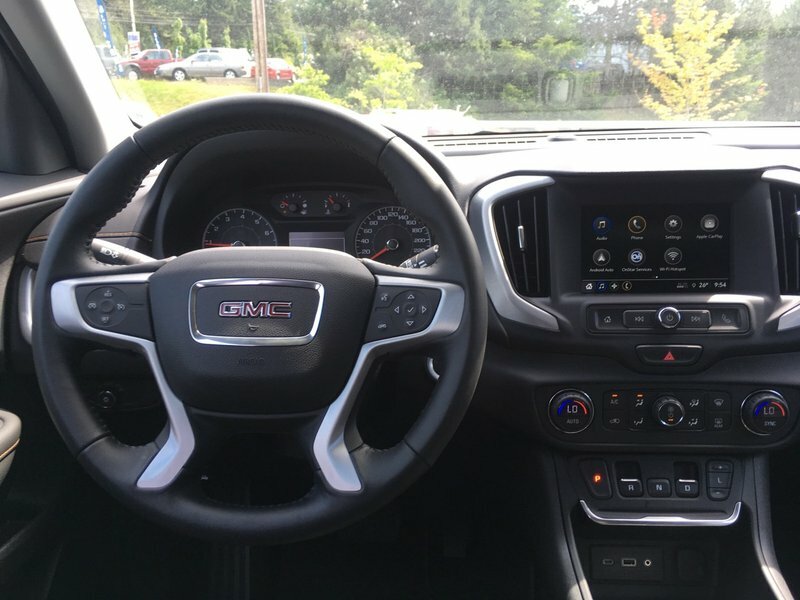 Maintain a safe connection with a touch screen 7 inch display with Bluetooth and OnStar with available WiFi.